If you’re looking for practicality, but desire the functionality and performance of an ultracentrifuge, you’ve found the perfect instrument: the Optima XE. 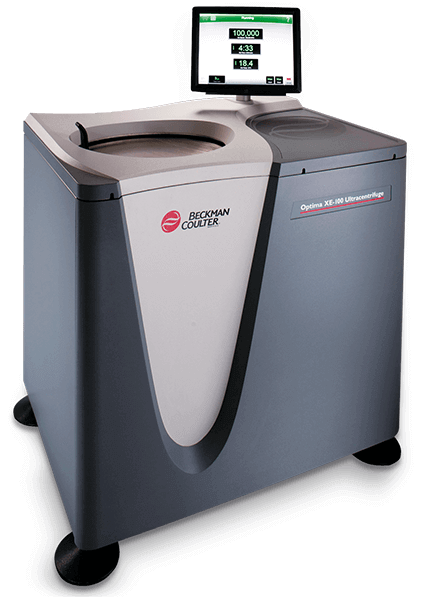 This ultracentrifuge provides all of the features you’d expect, along with some very beneficial enhancements you won’t find anywhere else. With total-system design in mind from the start, we created the Optima XE to simplify use, increase productivity, and reduce error. You’ll applaud its intelligent user interface, multi-layered BioSafety features, and energy efficiency. And of course, our total system design backed by our exclusive rotors, labware, and unparalleled service. Available in 100k and 90k RPM configurations.